Kathryn J. Walker seems to embrace life in a way that few do, vigorously taking on projects and pushing them far beyond their modest beginnings. A summer job in college turned into a second summer, then a gap year, followed by a passion on which to build a career. Little did Walker know as a rising junior at the University of North Carolina at Chapel Hill that her work with the developmentally disabled would have so profound an effect on her future. The program that sparked her interest involved school-age residents who were out of school for the summer. "I had an interview, then went on a home visit, met some of the residents, and knew immediately I wanted the job," Walker said. During her gap year, she ran a group home designed for men with autism. "My time there was challenging and wonderful and definitely inspired my commitment to the disability-rights movement," she said. "I loved my job. It was very inspirational and let me see the real needs of that population first-hand." After graduation from Miami Law, Walker is headed to Washington D.C. as a summer intern in the Department of Justice's Disability Rights Section. In the fall, she will complete her Masters of Public Health at the Judge David L. Bazelon Center for Mental Health Law, also in Washington. "Kathryn is so energetic and positive and dedicated that she has been an inspiration to me," said Susan Stefan, a visiting professor at Miami Law and one of the country's most highly regarded experts in mental disability law. Walker was born in Lincolnton, N.C., just outside Charlotte. Her family later moved to Mebane, near Chapel Hill. She knew in second grade that she wanted to be a lawyer, "although I grew out of it for a while," she said. "I've always been rather argumentative, so lawyer was an easy thing to say." At Eastern Alamance High School in Mebane, the 5-foot, 10-inch-tall blonde played basketball for the Eagles and bass drum for the Marching Tarheels, appeared in the Stephen Sondheim musical Into the Woods, and looked forward to the last day of classes, known as Tractor Day, when students drove farm machinery to school. At the University of North Carolina, Walker was on the Dean's List and was a member of Alpha Phi Omega Community Service Fraternity. She also served as Musical Director of the Heels to Heaven choir, and coached Special Olympics athletes. She received a double Bachelor of Arts degree in English and Psychology, and studied American Foreign Policy and Law and Psychology at Harvard University. She was lured to Miami Law by the Miami Scholars program, a scholarship based on commitment to public interest work, although she was also struck by the fact that there were few other law schools offering joint Juris Doctor/Master of Public Health degrees and fewer still with a focus on disability law. Ranked near the top of her class, Walker distinguished herself both academically and in her activities at Miami Law. She was an Articles and Comments Editor on the Inter-American Law Review, and was awarded the Dean's Certificate of Achievement in Civil Procedure I and the CALI Excellence for the Future Award in Torts. She was on the Dean's List multiple times, as well as on Who's Who Among Students in American Universities and Colleges. 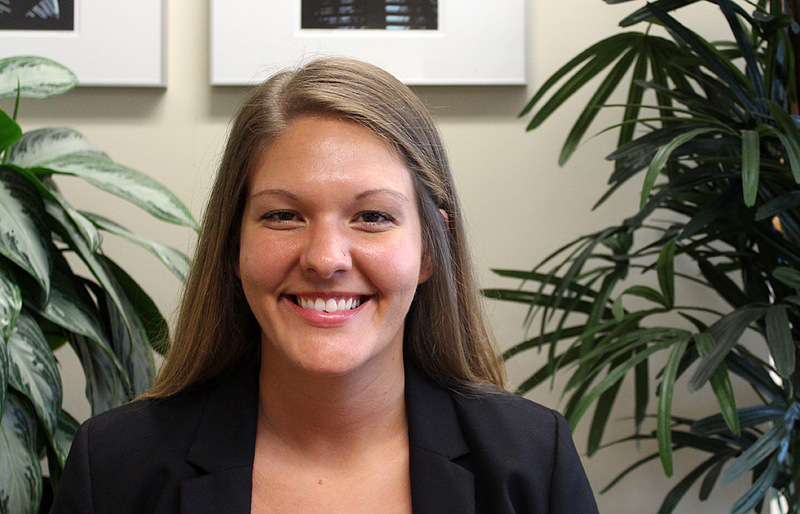 Walker was a HOPE Summer Fellow and completed the HOPE Pro Bono Challenge. She organized a team for the Dan Marino Walk for Autism and, as a volunteer with Books and Buddies, helped refine the writing of a local elementary school student. She also was a legal intern at Disability Rights Florida, a protection and advocacy organization for individuals with disabilities, working on institutional conditions and human rights issues. She undertook other internships with the General Counsel of the U.S. Department of Health and Human Services' Centers for Medicaid and Medicare; the Miami law firm of Matthew W. Dietz, working on fair housing and ADA issues; and in the Felony Mental Health unit of the Miami-Dade Office of the Public Defender. At Miami Law, Walker was an intern in the Health and Elder Law Clinic, now known as the Health Rights Clinic. Walker says that of her experiences at Miami Law, one was pivotal. "The HOPE program was incredibly influential in shaping the way that I think about disability rights and exposing me to different types of public interest law," she said. "HOPE gave me the resources to really explore different options in the public interest realm and continually reminded me of all the good that is being done. It has been a constant reminder for me why I am here and why I am working so hard." "Kathy embodies the type of student and Miami Scholar we cherish," said Marni Lennon, the Assistant Dean for Public Interest and Pro Bono. "She is a principled and passionate advocate for disability rights and has been a dedicated student throughout her time at Miami Law. She has maximized her experiences through interdisciplinary study and leadership, and seized the opportunity to hone her advocacy skills through work and externships. As she heads to Washington D.C. to complete her studies while working with the Department of Justice and then the Bazelon Institute for Mental Health Law, we are so proud of the lawyer she is becoming and know that she will be a leading force in disability rights." Walker has only one small regret: In high school and college, she succeeded in getting rid of her Southern accent. "Being from a small town in North Carolina, I thought that I would go farther and sound smarter if I got rid of it," she said. "But now I miss it. I think it is so charming when I hear other people speak." After graduation, relearning it may be at the top of her to-do list, y'all.